First, I draw the object in a CAD/CAM software package called Rhino. 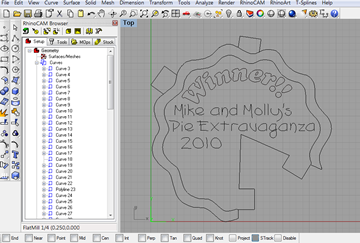 I also set up instructions for cutting it out on the CNC machine. 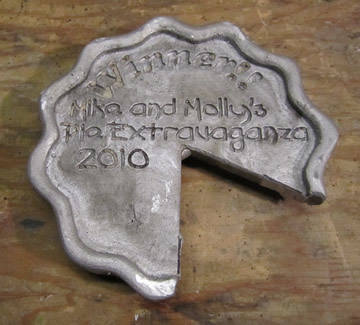 The tabs are where the metal will enter and exit the piece. 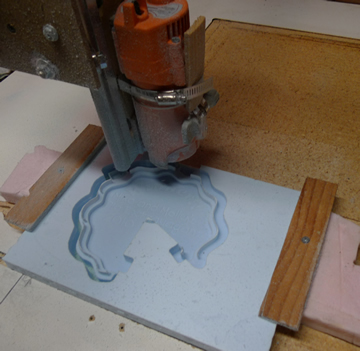 Cutting out the shape to be cast on my CNC machine (computer controlled router). 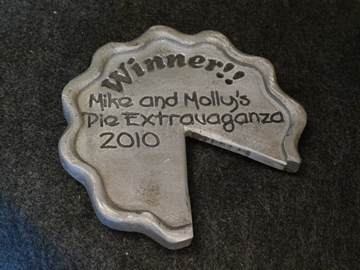 I use rigid insulation foam from Home Depot to make a positive copy of the shape I want in aluminum. 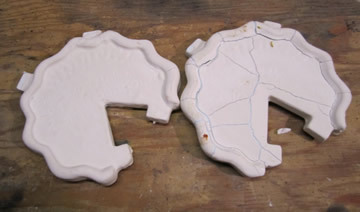 This is how the casting looks right out of the mold. The plaster just flakes off. I cut off the sprues here and am ready to do a little finish work with a file. I’ll also fill in the text with black paint to make it pop. The final product. Snatched by a Key Lime “Pucker Pie”. Michael I had to check this out after reading Molly’s post. This is too cool. I had to show my hubby and he said he reproduction (antique)door hinges made in a similar fashion.